While Charleston has incredibly lovely historic homes, the natural landmarks are also stunning. No, I am not being sponsored about any sort of tourism department there, I just have to share how remarkable of a place it is. 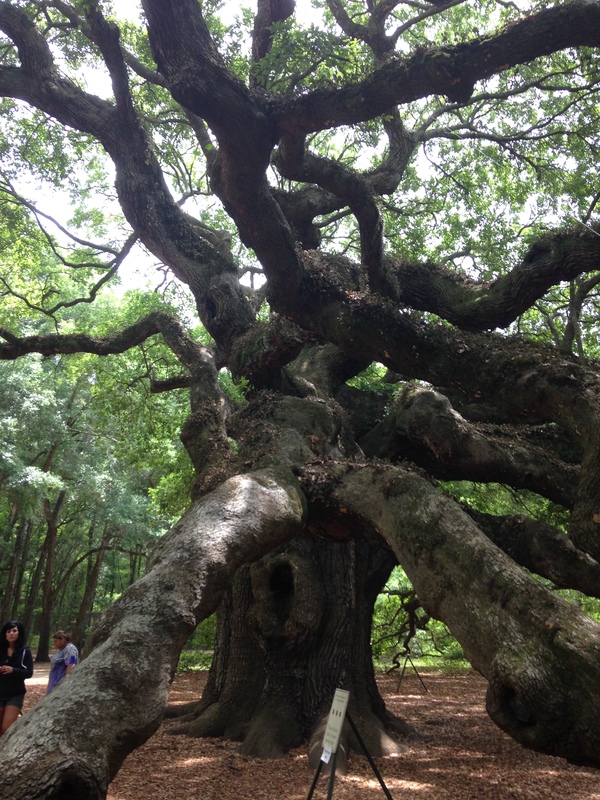 The picture above is actually the branches of a single tree- Angel Oak. This is the largest tree east of the Mississippi river. The branches are so large that they are supported by man-made wooden beams, which the tree has grown into. The branches also touch the ground, go through the ground, and up again like a root system. It would be nearly impossible to capture the entirety of the tree without a professional camera, but I tried my best here. I don’t even know that I could put my arms around the branches. It’s an awe inspiring sight to see a tree so magnificent. A bit off the beaten path on James Island but well worth the trip. In addition to beautiful wooded areas and back roads, Charleston has fabulous beaches! 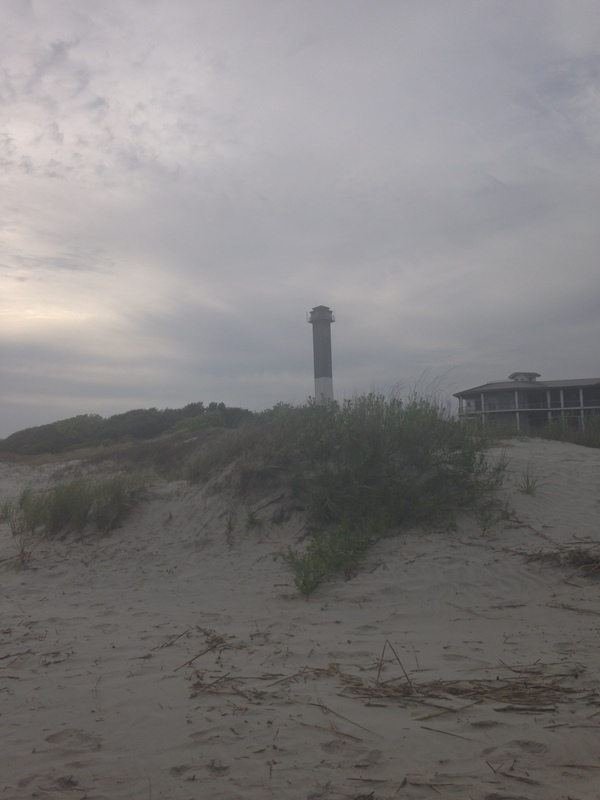 The day was a bit overcast, but we ventured out to Sullivan’s Island for an afternoon at the beach. Here’s the iconic lighthouse. The beach had the perfect light, fluffy sand that you can just fall asleep for hours on while listening to the waves crash against the shore. I liked that it wasn’t too crowded, but there were still plenty of monstrous beach houses to gape at. Near the beach is a strip of really excellent restaurants. We ate at Poet’s, which has a wide selection of burgers and chicken sandwiches, but the other places looked great, too. I think Sullivan’s is one of the nicest beaches to spend the afternoon in the Charleston area. 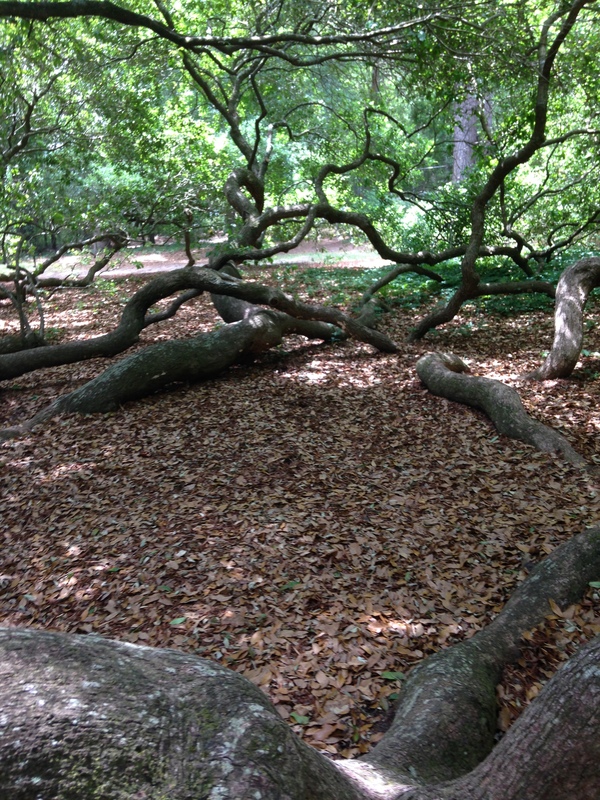 Wow, angel oak is amazing!